Royal-Tech Vinyl Window Systems, made in America, gives homeowners, contractors, and builders many options and styles available with blinds and shades built inside the glass. TAYLOR, Mich. - July 8, 2016 - PRLog -- If you are in the market for vinyl replacement windows you may have a few questions about replacement windows. Here are some commonly asked questions that we have answered for you. #1: Do vinyl windows only come in white or tan? No way! At Royal Tech Vinyl Windows Systems you can have your vinyl windows in 33 different colors! You can even have a woodgrain stain custom matched to your décor. You can choose to have a different color on the inside than on the outside. So, if you want cranberry color on the outside and a light maple color on the inside, they can make it for you. #2: How are replacement windows installed? In certain situations, the windows need to be installed from the inside of your home, but usually the window installer will install the windows from the outside of your home in order to avoid moving furniture and making a large mess on the inside of your home. #3: Why can't you get vinyl windows with blinds in between the glass? #4: Do I have to replace all my windows at the same time? No. You may only want to do one window or two windows. Some people like to replace them a few at a time according to their budget. If you would rather want to replace them all at once Royal-Tech Vinyl Windows has financing available for you, so you can have gorgeous windows all at once. #5: What if I don't like my current style of window, can I change them up? Yes. If you currently have a sliding window that you want to replace with a picture window, or need a door wall? No problem. Royal-Tech Vinyl Windows has many options to choose from; double-hung, single-hung, picture windows, casement windows, bays and bows, garden windows, door walls, all custom made with or without blinds in between the glass. 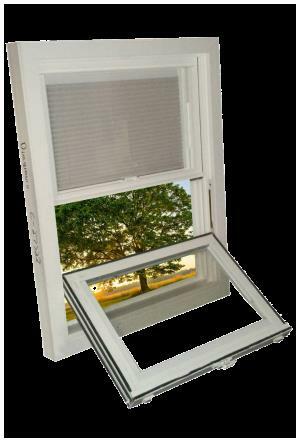 To see all the options available to contractors and homeowners alike, go to http://royaltechwindows.com and see for yourself all the options that are available to you!